The heir to a village elders family squanders his inheritance and bullies all and sundry. © 2018 Scratchu.com Devasuram | Mohanlal, Revathy, Nedumudi Venu, Innocent Vareed Thekkethala, Napolean, V.K. 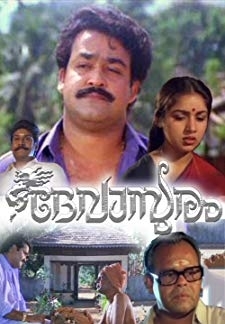 Sriraman, Maniyanpilla Raju, Augustine, Chitra, Seeta, Bharathi, Cochin Hanifa, Delhi Ganesh, Janardanan, Sankaradi - Devasuram (1993) | Malayalam Movie | 8.7/10 | Synopsis : The heir to a village elders family squanders his inheritance and bullies all and sundry.... Watch Online!! !